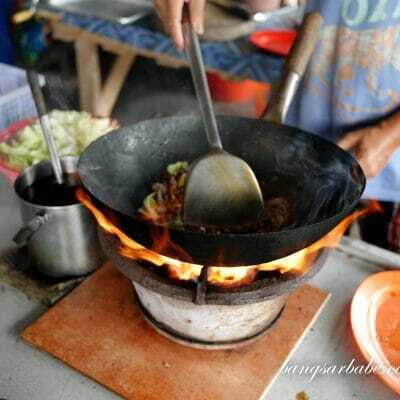 Kuala Selangor is known for its fireflies, fishing village and most importantly, fresh seafood! As a child, rif would follow his father on regular fishing trips there. Usually, they would catch about a dozen fishes, but there were times they left the river bank empty handed. Not wanting to disappoint the other family members, his father would drive to the fishing village to buy some “catch” home for dinner. 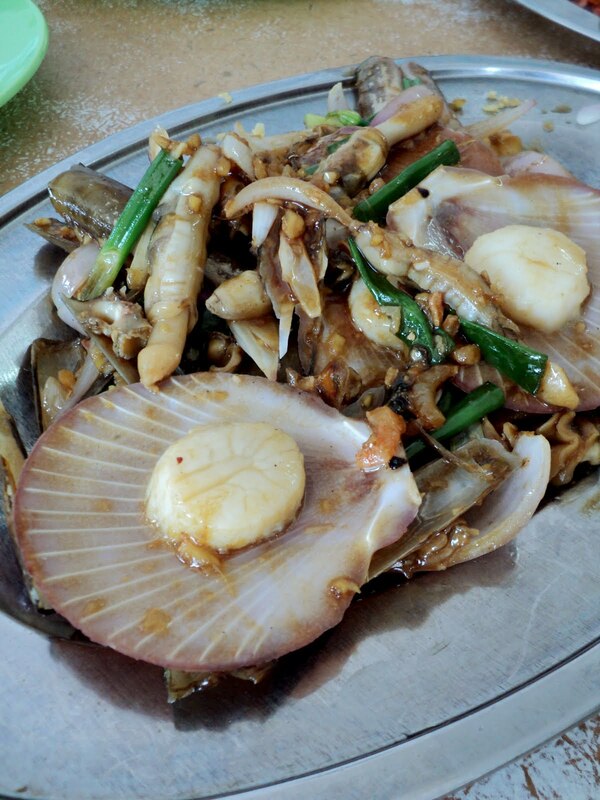 These days, they hardly go fishing but would instead go to Hai Peng Seafood Restaurant for a seafood meal. There are many other seafood restaurants around the area, but according to rif’s father, the food at Hai Ping is the tastiest and least expensive. I reckon the other restaurants cater for tourists, as I spotted quite a few tourist buses outside. 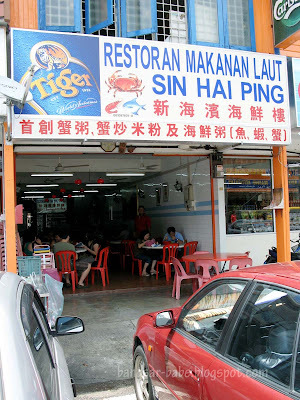 Last weekend, I gathered a few of my makan kakis to go on a seafood binge at Hai Ping Seafood Restaurant. 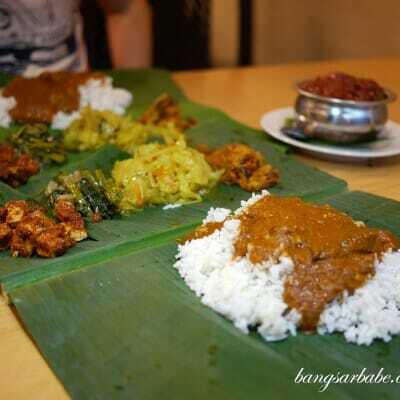 We left Kuala Lumpur at 11am, and reached the restaurant, famished, at close to 12.30pm. I greedily ordered 9 dishes for the 6 of us. The lady boss thought we were pulling her leg, but I assured her we were all big eaters. 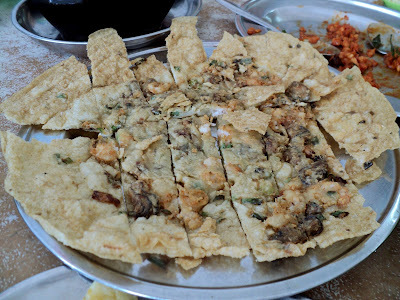 The Oh Chien (RM14) came with plump oysters and a scatter of tiny shrimp. Unlike the Penang and Malacca version, this was similar to the Oh Chien in Perak. The egg mixture was fried until the edges were crunchy while retaining a fluffy centre. Very addictive. Although smaller than usual, the oysters were fresh, juicy, and tasted of the sea. My dining companions liked this too. The whole plate was polished in a jiffy. 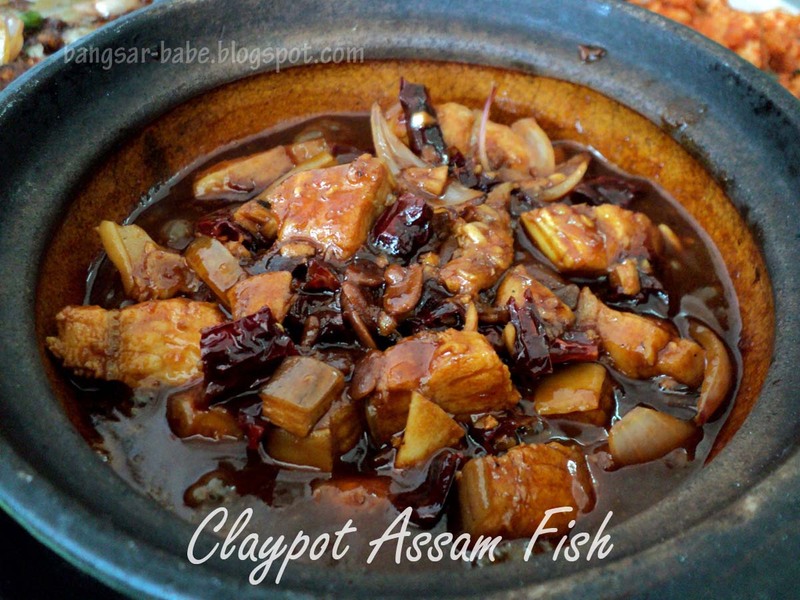 Claypot assam fish (RM15) tasted like a combination of assam and kung po gravy. I’ve never tried this until recently, when his parents ordered it for pokies machine me. Do not dig into the simmering hot dish immediately; you might end up burning your tongue. One bite and I was hooked. 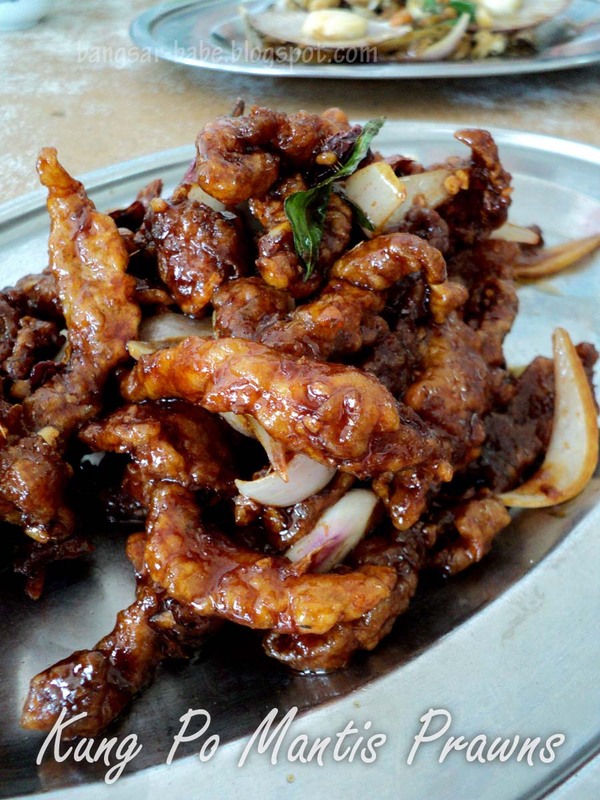 The tamarind based gravy was sweetened with shallots and tomato slices. I thought the spiciness of the dish was just right, and the stingray slices were tender and well flavoured by the thick gravy. It went very well with white rice. 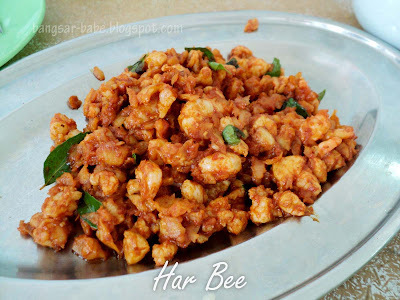 I’m not exactly sure what this dish is called, but it is essentially tiny shrimp or har bee (RM14) fried with chilli and curry leaves. The shrimp were sweet, meaty and full of kick from the seasoning. Good stuff! 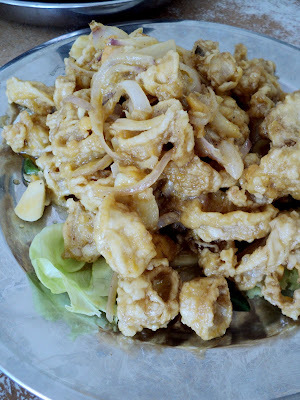 Salted egg yolk squid (RM15) was also prepared in a different way. Instead of mixing the salted egg into the batter mixture, the squid is merely fried with salted egg. Not like the crispy battered version I’m accustomed to, but this was quite tasty. They were very generous with the salted egg yolk — it was almost heart attack on a plate! The three variety clams done “geong chun” style (RM16) comprised scallops, bamboo clams and clams cooked with garlic, ginger and spring onions. I thought the garlicky, thick sauce complemented the freshness of the clams well, especially the scallops. We left nothing behind; even the shells were licked clean. Deep fried till golden brown and crispy, the mantis prawns (RM14) were then cooked with Kung Po sauce, onion slices, dried chillies, capsicums and carrots. 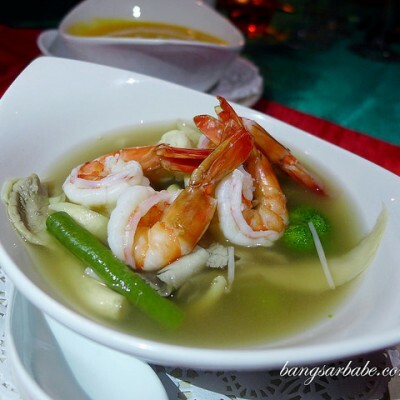 Deeply flavoured, the prawns also had a lovely hint of wok hei. 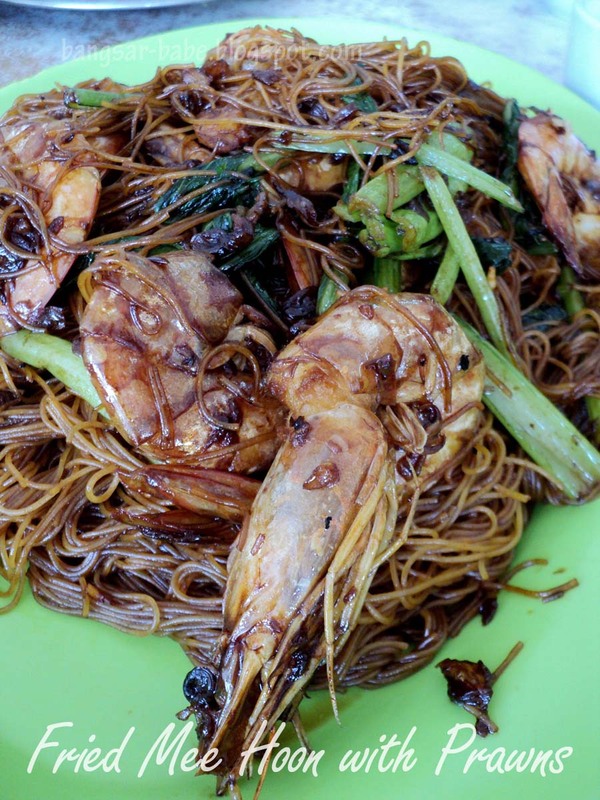 I usually order the Fried Mee Hoon with Crabs, but this time around, I decided to try my luck with the Fried Mee Hoon with Prawns (RM24). The prawns were sweet and succulent, but they didn’t really add flavour to the mee hoon. Crabs are still a better choice, if you asked me. I was disappointed with the size of the crabs; they were quite small that day. We opted for the crabs (RM35 per kg) to be cooked sweet and sour style. Tastewise, the gravy had a good balance of sweetness, sourness and spiciness. Despite the tiny size, the crabs were fresh and sweet. If you discount the size factor, I’m sure you would enjoy the crabs as much as I did. Being gluttons, we decided to order an extra plate of steamed prawns (RM24), because we couldn’t get enough of fresh seafood. Steamed with Chinese rice wine, fried shallot oil and julienned ginger, the vibrant red prawns had a slightly crunchy texture; a sign of freshness. 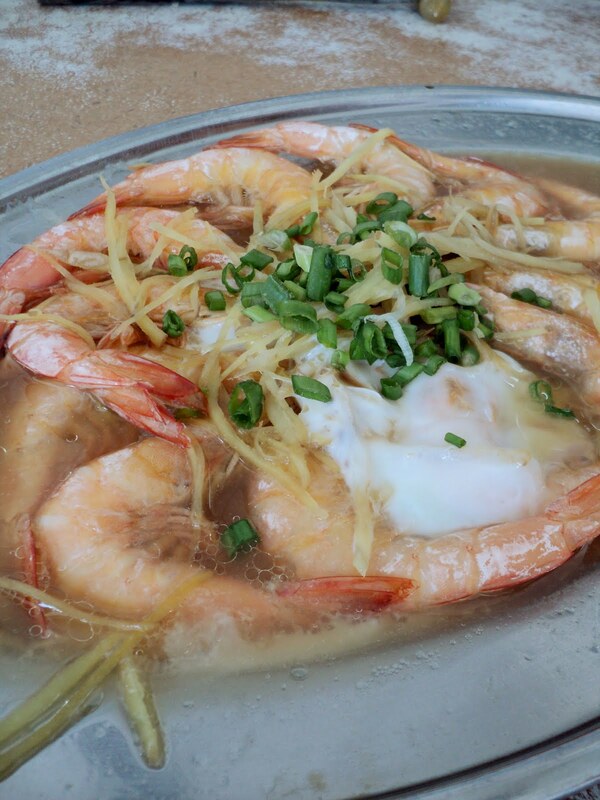 Our only grouse was the lack of rice wine — we like our prawns doused in plenty of rice wine. Our lunch with Chinese tea and one large beer came up to RM194 for the 6 of us. Pretty reasonable for the amount of food we had, don’t you think? Verdict: I liked how some dishes were prepared and the seafood was fresh. have not tried this place-very reasonable pricing. The claypot assam fish looks really tasty, but it's them salted egg yolk squid (as usual) that has captured my heart. Yummy! 9 dishes are a LOT!!! This place is just beside the main road right? i could not pick which one is best. ALL the dishes look damn good. 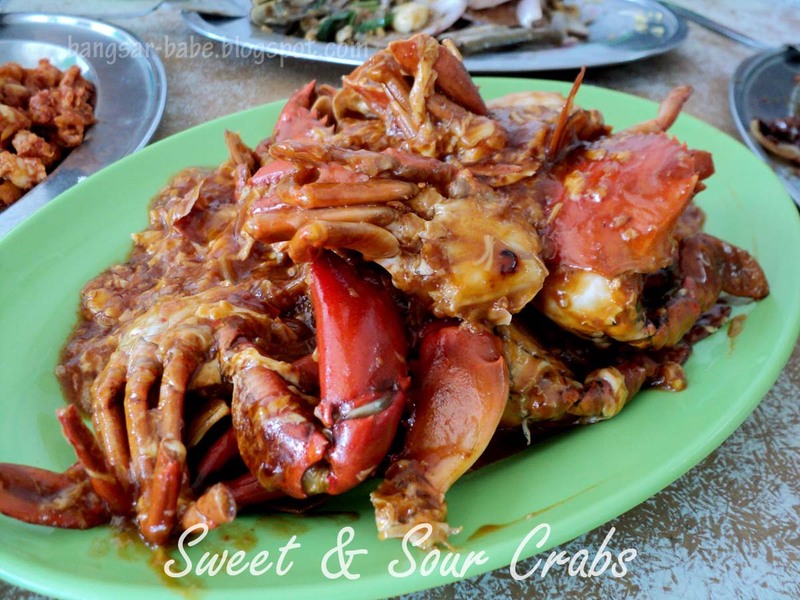 eventhough the crabs were small the sauce looks excellent hor? should start to organise trips like this..cant b that spontaneous la..
"The lady boss thought we were pulling her leg, but I assured her we were all big eaters." <– Sue Lynn, this is both hilarious and unsurprising. Now I got somewhere to go after my firefly trip (which is yet to be planned)! Yay! Joe – Ok lar…I give you 2 days notice, can?? leo – Yup…sort of main road. It's opposite the River View Restaurant. LFB – Next time I'll call you and CK along! foodbin – Yup. Should go try! vialentino – Bring our own rice wine next time…kekeke.